To be completed by Tuesday June 12, 2018. Luis Espinosa Davila, 46 of Fishers, Indiana passed away June 9, 2018. A visitation will be held from 10am until 7pm on Wednesday, Jun 13, 2018 at Ellenberger United Church of Christ. Funeral service for Ruby Opal Sievers, 93 of Vincennes, Indiana is pending with Fredrick & Son McClure-Utt Funeral Homes Vincennes Chapel. 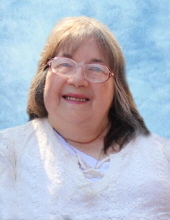 She died on Sunday, June 10, 2018, in Vincennes, Indiana.